Asia Beach Hotel is set on 22 acres of land, filled with beautiful gardens, tons of activities, and a private white sand beach. Asia Pattaya Beach Hotel boasts 305 magnificent rooms with top-of-the-line amenities, lots of space, and your very own marble bathroom. The property also offers enough fun to keep you and your loved ones enthralled for weeks. Tennis courts, a par-three golf course, and a snooker room are on-site while windsurfing, parasailing, and any other water sports are also available. Positioned in south Pattaya, you are only minutes away from all the charms of this wonderful city, including exciting entertainment and fantastic shopping. Cool off at the huge water park, try bungee jumping, or catch the latest movie at the cinema. 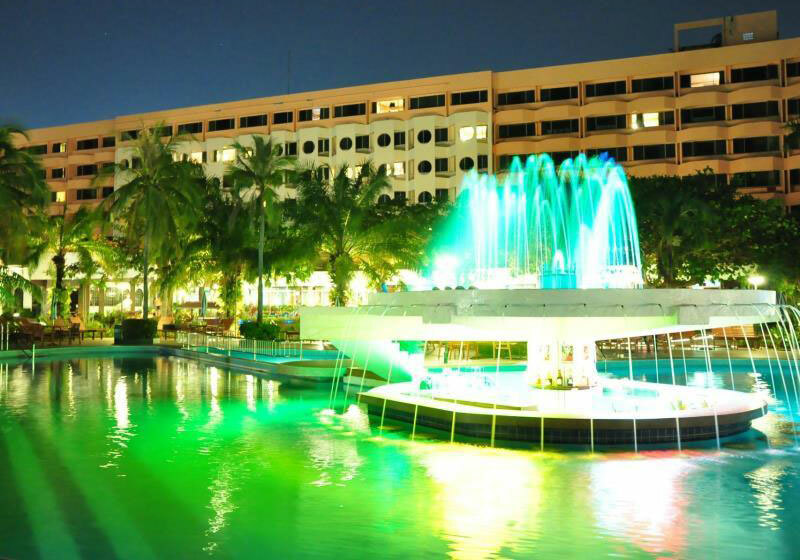 The Asia Pattaya Beach Hotel assures maximum pleasure, convenience, and unforgettable memories. Short Description: Asia Beach Hotel is set on 22 acres of land, filled with beautiful gardens, tons of activities, and a private white sand beach. Asia Pattaya Beach Hotel boasts 305 magnificent rooms with top-of-the-line amenities, lots of space, and your very own marble bathroom.